Add an elegant touch to your table with the Winco WPB-2C Stainless Steel Deluxe 2 Qt. Bell Water Pitcher with Ice Catcher. Boasting a classic design and shiny mirror finish, it is suitable for both casual and formal dining affairs. For added convenience, it has a guard to hold the ice inside so it doesn't fall into the glass as you pour. 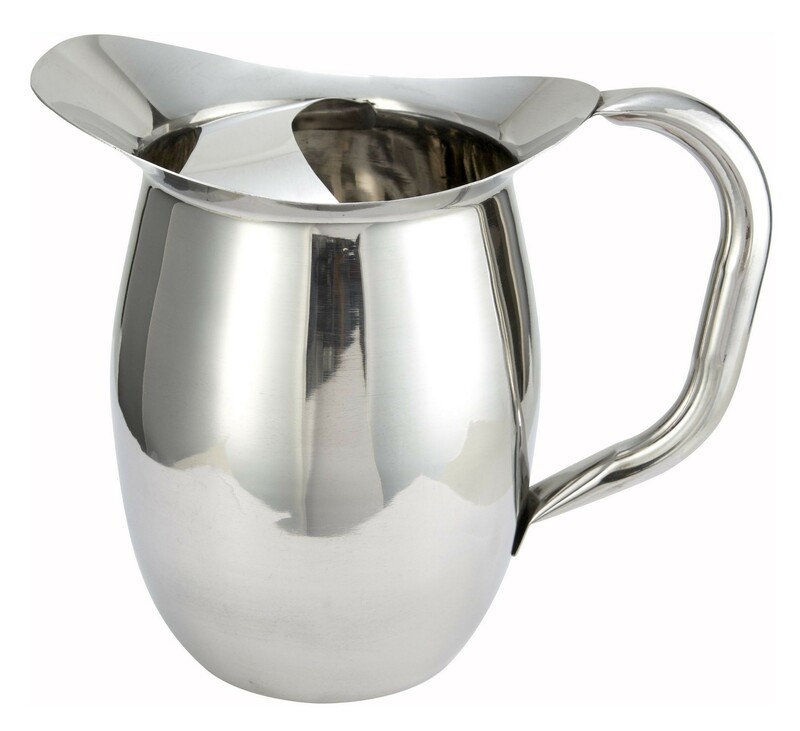 This bell water pitcher is manufactured from stainless steel, so it will not tarnish or warp over time. In addition, it has a curved spout to minimize spills while its hollow tubular handle provides a comfortable, balanced grip. Fill it with water, iced tea or any other beverage and place it at your dining tables so your guests can easily serve themselves. 8-1/2" x 5-2/5" x 8-3/10"